We’re excited to host a live webinar with the one and only Brian Fanzo, the founder and CEO of iSocialFanz. A world-renowned podcaster and keynote speaker, Brian teaches brands how to use emerging technologies and digital marketing to stand out and relate to the right audiences. Join Brian next Thursday, April 26, at 10 am PDT / 1 pm EDT to gain insight on his best tips and tricks for using the power of storytelling to grow your business. 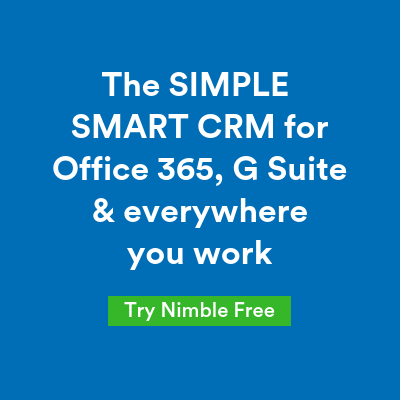 He is a “no fluff” kind of guy, so expect actionable tips you can immediately implement. If you can’t attend live, feel free to register and receive a recording of the event. He also loves to quote the great Maya Angelou, who once said that: “people don’t remember what you say; they remember how you make them feel.” In this digital world, the best way to stand out and relate to your community is through effective storytelling. Where to start telling your story, and why it’s alright if it’s not where your core audience is. What to do now that the “Field of Dreams Marketing Days” are over. Why the future of marketing is relatability. Why you must stop talking about what you do– what you do is boring. How can you use it to help others achieve their goals? How to upcycle your content with an omni-sensory approach. 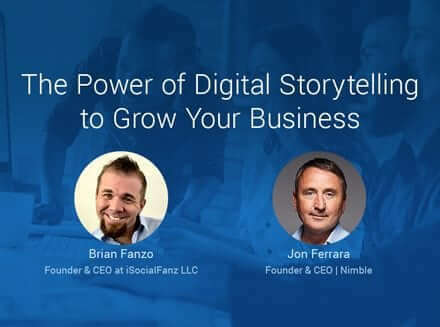 Join Brian and our Nimble CEO Jon Ferrara next Thursday, April 26th, at 10 am PDT / 1 pm EDT to learn about the power of relatability and storytelling. A recording of the webinar will be sent to all who register.